Not many people of Mill River have come into contact with the old woman who lives at the top of the town, watching from her window but never seen but her secrets are about to be revealed and everyone will know who Mary McAllister is and why she never ventures from her home. 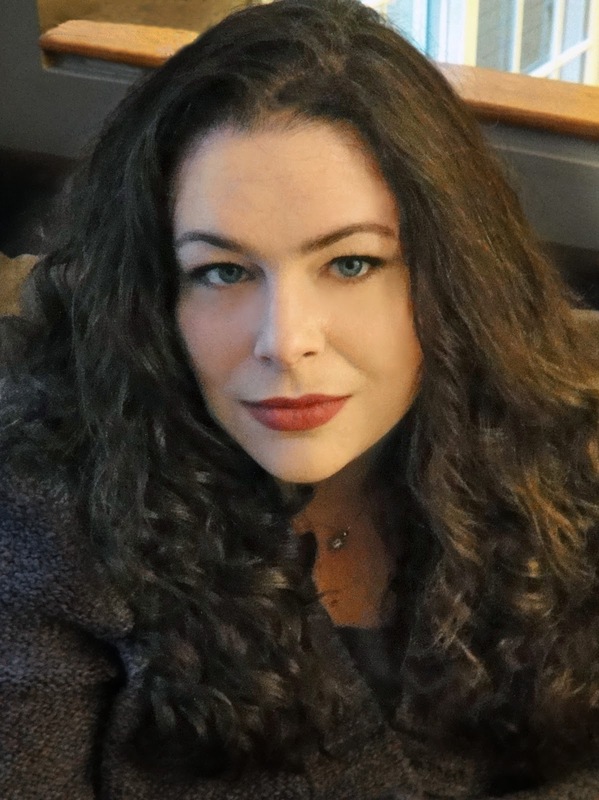 You can read my review of The Mill River Recluse here and the author, Darcie Chan, has kindly agreed to answer a few of my questions. When did you realise you wanted to become a writer? In middle school, when I was eleven years old, I entered and won a one-day, multi-school short story contest. I rushed home with my little trophy and announced to my parents that I wanted to be a writer. I think that was the first time that it really occurred to me that writing was something I wanted to do -- if not as a career, then at least as a serious hobby. A lot of time passed between the day of my childhood writing contest and the day I sat down and felt ready to start working on my first novel, but even through college and law school, getting married, working as an attorney, and starting a family, my dream of becoming a writer never faded. What was your inspiration for The Mill River Recluse? The Mill River Recluse is the story of a woman with severe social anxiety disorder and agoraphobia who manages, despite a lifetime of physical isolation, to secretly change the lives of everyone who lives in her small Vermont town. The basic concept for the story was inspired by a certain gentleman named Sol Strauss who lived in Paoli, Indiana, the small town in which I lived during high school and in which my mother was born and raised. Mr. Strauss, a Jewish man who fled Nazi Germany, operated a dry goods store in Paoli in the 1940s. Even though Mr. Strauss lived quietly alone above his shop and never seemed to be fully embraced by the town’s predominantly Christian population, he considered Paoli to be his adopted community and is still remembered today for his extreme generosity. Why did you decide to self-publish and did you ever dream it would be such a successful move? I decided to self-publish The Mill River Recluse as an e-book because at the time, I had already exhausted the possibility of having it published traditionally. I figured I had nothing to lose by uploading it, but I might have a few things to gain. I hoped to get some good feedback on the story from readers. I also hoped that, gradually, over the course of months or years, I might be able to get my name out there as a writer so that by the time I had a second novel for my agent to shop around, I would no longer be a complete unknown -- which is one of the problems that my first novel faced when it was under consideration by publishers. I had absolutely no idea that my quiet little book would resonate so deeply with readers, and I certainly never dreamed that self-publishing it would in essence launch my career as a writer. Who was your favourite character to write in The Mill River Recluse? My favourite character is probably Father O’Brien, the elderly priest who is the only person who has contact with Mary McAllister for most of her life. He is good to the core and yet, like all of us, he has his flaws (although his are more serious in his own mind than they actually appear to most people). His "spoon problem" scenes are an absolute delight to write. If you were to move to Mill River, who do you think you'd strike up a friendship with? Who or what inspires you to write? I write, first and foremost, because I love to do it. It makes me happy. I don't know that there is any one person or author who inspires me -- I think my inspiration comes from a variety of places -- my family, the people I meet, the experiences I've had in my life. That said, I love to read. My favorite book is A Tree Grows in Brooklyn by Betty Smith. I am in awe of Ms. Smith every time I read it – the story is so genuine, beautiful, and moving. I really believe that each author who is really successful has at least one aspect of genius, or something that can be used as inspiration, about his or her writing: J.K. Rowling’s ability to create an incredibly detailed, hidden, and yet real world that seems to exist right under our noses. Stephenie Meyer’s ability to connect so intimately with a reader as to make that reader feel as if she were a 17-year-old girl, even if that time has long passed! Alice Sebold’s ability to open a novel with a horrific event and still execute the story in such a way that the novel becomes a thing of beauty. Alexander McCall Smith’s ability to bridge a culture gap and make a reader feel comfortable in a setting as foreign as Botswana. The ability of Laura Ingalls Wilder to capture so much of America's history in a way that still fascinates and educates people today. Eowyn Ivey's ability to tell an amazing story with prose so beautiful it seemed to have been painted on each page. There are so many authors who have inspired me – it is impossible to name them all! What advice would you give to aspiring authors? Come up with a story that you feel passionate about telling – a story that moves you emotionally – and then put your heart into the telling of it. Hopefully, your emotion will carry through and move your readers. The stories that I remember and enjoy the most are those that make me laugh or cry, that scare me, or that otherwise affect me in such a way as to leave me thinking about the book long after I've finished the last page. I’m convinced that if you don’t have a story that touches readers emotionally, nothing else you do to try to make your book a success will matter. Finally, what are you working on at the moment? I've recently finished the first draft of my second novel, and now I'm working on refining it while my editor reads it. My second book is also set in the fictional world of Mill River, Vermont. It involves a new story and some new characters, but many of the characters from The Mill River Recluse get drawn into the story. I'm very excited by how the new manuscript is shaping up! Once I know its publication date and official title, I'll post them on my Facebook author page and on my website (http://www.darciechan.com). Thank you to Darcie Chan for taking the time to answer my questions. 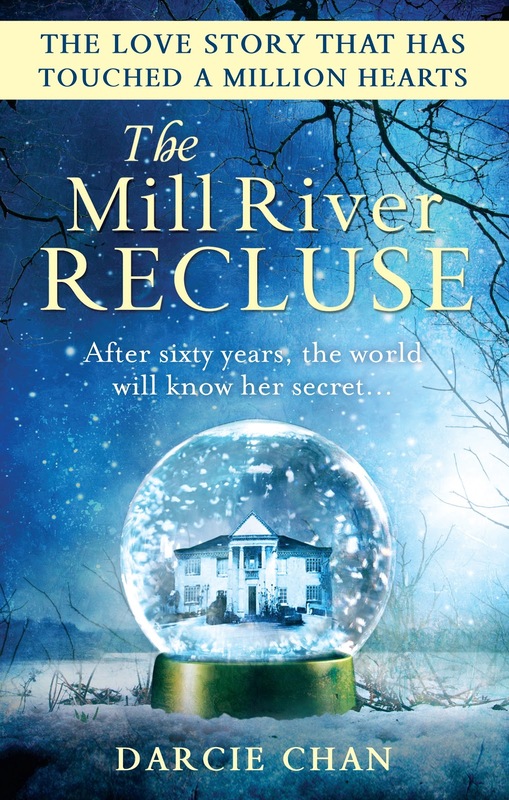 The Mill River Recluse is available as an ebook now and will be published in paperback on 6th December 2012. Looking For A Halloween Read?